This update on the 2% NSW Bond Scheme has been supplied by Bannermans Lawyers. Builders and developers of new multi-storey buildings (defined as two or more separate dwellings which exceed three storeys in height) are exempt from having to obtain insurance under the Home Building Compensation Fund (Home Owners Warranty Insurance) under the Home Building Act 1989 (NSW). This has led to circumstances, where owners of multi-storey buildings were unable to claim against the insurers, even if the defects are discovered within the statutory warranty period, when the builder or developer dies, goes missing, or becomes insolvent. Defects in multi-storey buildings can cause long-standing issues for owners and builders alike. The costs and delays associated with litigation and rectification can flow down the contract supply chain and have serious impacts on subcontractors and suppliers. Where there is no contract, building works in the construction of new strata buildings commenced on or after 1 January 2018. The Department of Fair Trading has released guidelines for the building bonds and the inspections scheme, which provide further details about the different stages of the building bond processes. Inspect the premises and prepare a final report that is issued no earlier than 21 months and no later than 2 years after the completion of the completion of the building work. 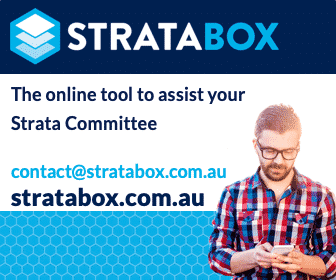 Qualified building inspectors must be a member of the Strata Inspection Panel established by one of the industry-recognised bodies under r45 of the Strata Schemes Management Regulations 2016. There are guidelines for the appointment of building inspectors published by Fair Trading. Inspectors cannot be appointed by the developers unless the appointment is approved by the owners corporation by a resolution at a general meeting. If the owners corporation does not approve the developer’s proposed inspector, the Building Bond Secretary will arrange for the appointment. Lot owners who wish to object to the appointment of a building inspector by the owners corporation may give the Building Bond Secretary a written notice of the objection and reasons for the objection no later than 14 days after the approval. The interim and final reports must be given to the Department of Fair Trading, the developer, the owners corporation and any builder responsible for the works within 14 days of the completing of the report. The developer and builders responsible for the defective work are given a reasonable opportunity to enter premises to rectify the defective work by giving 14 days written notice. Developers of a new strata scheme must lodge security in the form of a building bond with the Department of Fair Trading. The purpose of the bond is to secure payment for the costs of rectification work identified in the inspector’s final report. The building bond must be provided prior to the issue of an occupation certificate. The amount of the building bond is to be 2% of the contract price of the building work. This sum is adjusted accordingly if the developer only performed part of the building work. Where the contract price for a building work is unclear, the owners corporation can apply to the Tribunal under section 211(3) of the SSM Act 2015 for an order specifying the amount for the contract price of the building work, for the sole purpose of determining the amount of the building bond. Developers are subject to strict notification requirements for the appointment of inspectors and payment of the bond. The builder must give at least 14 days written notice to the owners corporation, the owner and the occupant of any affected lot of their intention to enter the premises for inspection or rectification. The owners corporation is able to claim the costs of rectification from the bond if the final report identifies building defects, or if the owners corporation makes an application to the Department of Fair Trading with the consent of the developer. Developers face strict fines for failing to comply with the requirements of the bond scheme. Residual funds in the bond are paid back to the developer upon the maturation of the bond. There are limited opportunities for reviewing decisions. Applications for review of decisions need to be made within 14 days after the notice of the decision has been given. Developers of new multi storey strata buildings bear most of the obligations under the new defect bond scheme and the scheme attempts to address some of the issues associated with defects in multi storey residential strata buildings. The defect bond scheme does not apply to commercial buildings. The defect bond may not be sufficient to cover all the structural defects in the building. The costs of rectifying major defects, especially in larger strata buildings can quickly overtake the sums available in the bond if the issues occur throughout the building. This means owners corporations can be exposed to further out of pocket expenses associated with rectification, and/or litigation. The defect bond scheme also relies on the independence of the building inspectors carrying out the interim and final inspections and reports. Where the developer is responsible for the appointment of the building inspectors, there will be questions about potential conflicts of interest and whether owners corporations can take these reports at face value. Inaccurate reports from the building inspections can give owners corporations a false sense of security, especially if there are defects which are not evident in the interim and final reports. The timing of the release of the final report (being no earlier than 21 months, and no later than 2 years of the completion of the building) means owners corporations will have very limited time to obtain advice and take legal action if there are any discrepancies. The building defect bond scheme does not displace the owners corporation’s existing rights to statutory warranties under the Home Building Act 1989. It is important owners corporations are aware of their rights to claim from the builders and developers before the expiry of the statutory warranty period if they suspect any discrepancies and cannot agree to rectify the defects. If you require help, please do not hesitate to contact us. This article has been republished with permission from the author and first appeared on the Bannermans Lawyers website.